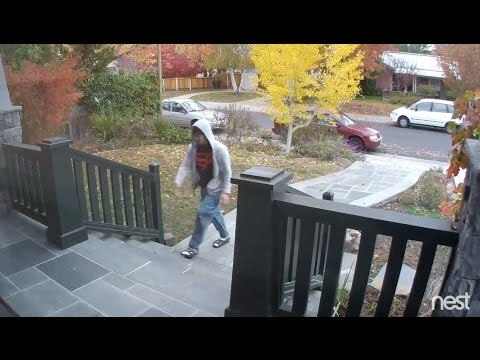 A still image of a man suspected of stealing packages from the front porch on a Palo Alto home on Saturday, Dec. 5. Image courtesy of Palo Alto Police Department. Police are looking for a man who was caught on surveillance video taking packages from a Palo Alto home Saturday afternoon, Dec. 5. At about 3:50 p.m., the man was captured on camera walking up to the front porch of a home on the 2700 block of South Court and taking five packages delivered at different times to the home, according to police. The resident of the home called the police department's 24-hour dispatch center on Thursday, Dec. 10, reporting the theft. The victim, a woman in her 40s, was out of town when the theft occurred, police said. Investigators said it appears that the man spotted the packages as he drove through the neighborhood. The man initially passed the woman's house, made a U-turn and parked directly in front of the residence, police said. After he took the packages, he drove away southbound on South Court. The man is described as a Hispanic male between 25 and 30 years old, about 5 feet 7 to 5 feet 10 inches tall with an average build. He has a mustache and was wearing a black T-shirt with a red "Superman" logo on the front, an unzipped white hooded sweatshirt, blue pants and black sandals with white socks. He was driving a red 1990s sedan with tinted rear windows and no hubcaps. The vehicle may be a Nissan Sentra, police said. The five packages contained miscellaneous items with a total value of over $600, police said. For tips on how to prevent package theft, visit cityofpaloalto.org. Anyone with information about this case or recognize the thief, is asked to call the department's 24-hour dispatch center at 650-329-2413. Anonymous tips can be emailed to paloalto@tipnow.org or sent via text message or voice mail to 650-383-8984. Can't really see the guy's face in the photo, but the car is pretty clear. We'll be on the lookout. Someone's child dresses like that at 3:50 p.m. on a weekday. With the normal clever PAPD work and a little luck this rat will be spending Christmas in jail. How on earth can they identify him/her as "Hispanic" and male? Rat is the wrong terminology to describe this type of person. A thief, delinquent, or some other type of derogatory rodent/animal name would be more appropriate. Superman used to be an asset to society. It's sad to see his fall from stature; now he is resorting to stealing packages from porches. Someone should put some Kryptonite into a box and leave it on their doorstep. That'll fix him!